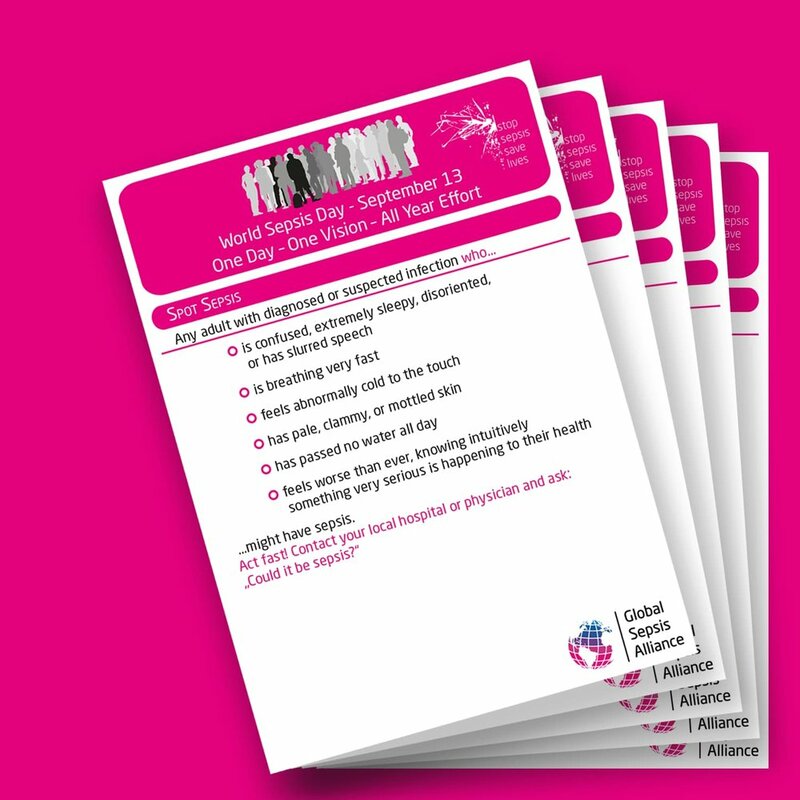 Download and use the materials from the toolkits below to spread awareness about sepsis and World Sepsis Day in your network. The materials are for non-commercial use only. If you have ideas for more material or can't find what you are looking for, please get in touch. For use on the internet, social media, websites, etc. Most toolkits include printable materials. If they are missing, you require a file format you can edit, such as eps, or have ideas for more material, please get in touch. All toolkits are zipped (being saved in a compressed folder). You will need to unzip them before using, for example by using a tool called Unzip, 7-Zip, The Unarchiver, or similar.